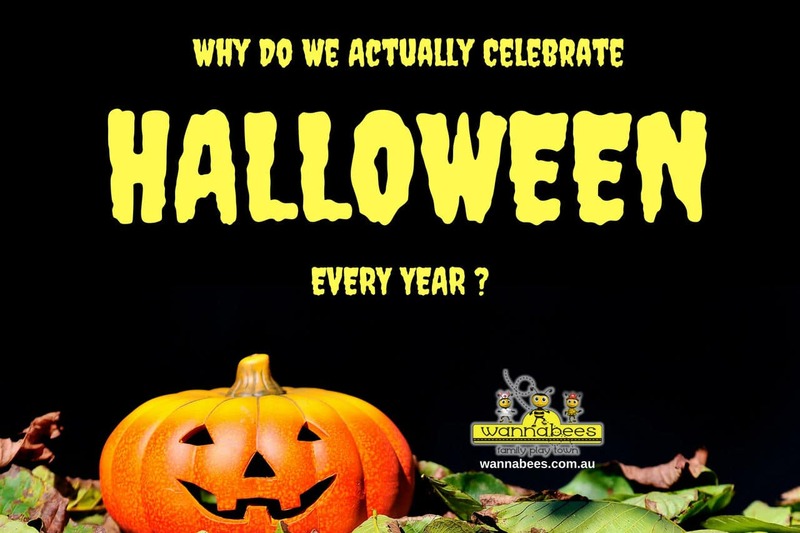 Kids Halloween Disco: Why Do We Actually Celebrate Halloween Yearly? What many people don’t know about is Halloween’s vast and interesting history. It’s generally accepted that it was a Celtic and Welsh tradition over 2000 years ago, but that it’s since evolved into a modern and worldwide phenomenon. So here’s a very interesting history of Halloween. We promise it won’t be too creepy! 2,000 years ago in Europe, a festival known as Samhain was held by the Celts as a pre-Christian festival on November 1st every year. It marked the end of Summer (remember, seasons are flipped in the northern hemisphere), and the beginning of the darker half of the year. This meant the boundaries between the light half of the year (the Summer seasons), and the dark half of the year were closer than at any time in the year. In other words, time and space were different on this night. It was believed by the Celts that the spirits of the dead and of the gods wandered the Earth because light and dark were so close together. Aos Si, were the spirits who were meant to wander the earth at this point in time, and at time they needed to be invoked to ensure the protection of the crops for the wintertime. The festival was as much about the wintertime as it was about the spirits moving between different worlds. Wintertime was a very challenging period for agricultural societies as most crops are challenging to grow in the winter. Therefore, it was important to bring people together for Samhain to share food and resources to make sure that society got through the winter. The lighting of fires during Samhain was also integral to another myth surrounding Halloween – that of the bat. With such large fires being lit, the light attracted insects, and the insects in turn attracted bats. As bats were seldom seen at night because there were few lights, the bat became synonymous with Halloween. While Samhain was important for the Celtic peoples’ winter prosperity, it evolved to encapsulate a more religious tone. By the 16th century, villagers were practicing something called guising. It’s the process by which you dress up and knock on the doors of other’s houses asking for food in exchange for prayers. It also mimics the Aos Si who would ask for food in exchange for a prosperous winter. Thus, the tradition of knocking on other’s doors was born – for better or for worse. While giving food to the Aos Si was considered good fortune, refusing to do so was considered a terrible thing to do and would bring misfortune to the household. This led to one of the most ubiquitous phrases associated with Halloween “trick or treat”. The word ‘trick’ used to have a very different connotation – a trick used to be a misfortune that happens to you. Therefore, by saying ‘trick or treat’, you’re threatening the household with misfortune unless you get a treat. Over time Halloween became more and more Christian and spread to America where it took on a more modern tune. Christianity has often been associated with the date of November 1st, as it’s the day of All Hallows. You’ll often hear Halloween being called All Hallow’s eve as it’s the day before All Hallows. This time in Christianity was associated with honouring saints, and offering prayer for those who were yet to reach Heaven. It was also a custom through much of Eastern Europe to go to a family member’s grave and pray for them along with leaving out a bowl of milk on the grave. Some Catholic families who were too poor to afford wearing costumes on Halloween dressed as saints, a practice which is uncommon, but still happens to this day. During the rise of Protestantism in Europe, protestants opposed the notion of Halloween because of its ties to Catholicism and the worship of saints. This threatened its spread to North America. However, many Catholics who eventually emigrated to Maryland in the U.S. brought with them the tradition, keeping it alive. Eventually, with the aid of immense Scottish and Irish immigration Halloween became widespread in the United States. Surprisingly it wasn’t until the 20th century that people celebrated it regardless of their religious or ethnic status. Halloween also spread to countries which had Catholic immigration, helping it become a worldwide phenomenon. Through marketing and the media, Halloween became the commercial success it is today. Many TV shows make Halloween specials (most famously the Simpsons’ Treehouse of Horror episodes), candy producers make specialised candy for Halloween, it’s inspired countless movies, the sales of costumes skyrockets, and all over the world Halloween parties are held in honour of this tradition. 69% of people in the U.S. plan specific celebrations for Halloween. 70% of those are looking to hand out lollies. There’s about 8-9 Billion dollars spent on Halloween every year. 67% of people buy costumes for their pets. Decoration and shopping begins two weeks prior to October 31st. In America about 600 Million pounds of lollies are bought for Halloween each year. It’s clear that Halloween’s long and varied history is continuing to be strongly followed to this day. At Wannabees Family Play Town, an Indoor Play Centre on Sydney’s Northern Beaches and North Shore, we’re hosting a Kids Halloween Disco to continue the tradition. There’s traditional Halloween games and of course trick or treating. Come dressed in costume and have your face painted like a zombie, vampire, or whatever supernatural creature takes your fancy. The disco’s music is spooky themed (don’t worry, it won’t scare the little ones). We’ve also decorated our venues with Halloween decor, and while some of our rooms are closed, special activities will run on the night. Learn more on our what’s on page.